Visiting an Asian fast food restaurant one usually doesn’t need to ask for a knife and fork. 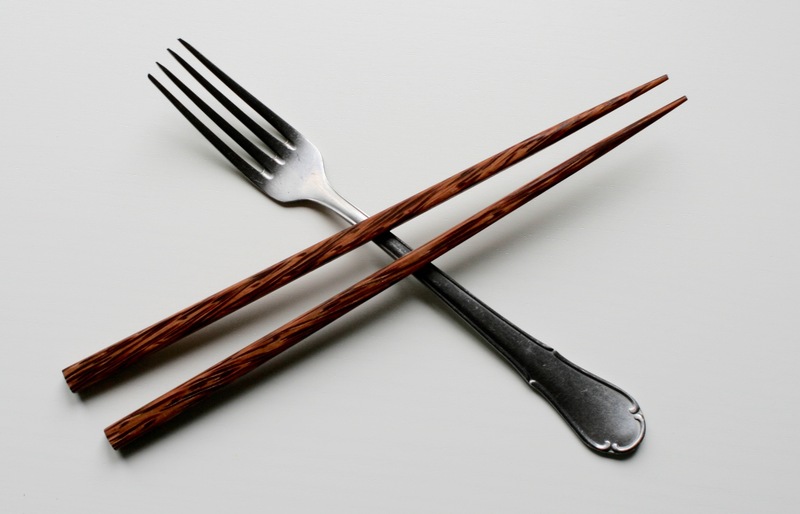 While some people readily use the western-style cutlery provided, others insist on using chopsticks. Why is that so? Varying degrees of proficiency in handling different eating tools certainly is one reason, but there is more to it. Personally I opt for chopsticks because I like to see myself as a cosmopolitan person, respectful of the traditions of other countries and well versed in their customs. Moreover, I take a certain pride in being able to use chopsticks “like the natives” and remember, for example, being quite pleased when a Japanese friend of mine remarked how skillfully I was handling my chopsticks. The point I would like to make here is that, as we are eating, we are faced with many choices. It is not just the choice about the food we eat but many other choices as well: You can eat alone or in company, sitting, standing, kneeling or cross-legged, with hands, spoons, or chopsticks, quietly or noisily, hurriedly or leisurely, from bowls or plates, and so on. Some decisions are made unconsciously, some choices might seem trivial, but at the end of the day, choosing to eat in certain ways constitutes (and re-constitutes) our identity and defines our place in society. It tells us a lot about who we are, how we see ourselves, and what we would like to be. These choices and practices, I would argue, are even more meaningful in an oppressive setting such as the Japanese American incarceration during World War II. Taking a closer look at this episode I will therefore ask: What did the Japanese American inmates eat, how did they eat, and why did they do so? I will contend that specific eating practices served to reinforce multiple cultural identities as Japanese Americans, but also redefined their role as prisoners vis-à-vis the camp administration. Like all first generation immigrants, Japanese kept at least some dishes and eating practices from their homeland when they settled in the United States. Rice was usually served instead of potatoes and soy sauce supplanted gravies for meat and fish. For the Issei, as the first-generation Japanese Americans were called, integrating Japanese food in their meals created a link to the past which made them feel more at home. Their children, the second-generation Nisei, got acquainted to their parents’ tastes, but outside their homes tended to prefer mainstream American dishes such as spaghetti with meat balls, hamburgers, and macaroni with cheese. Apart from the food itself, mealtimes in Japanese American families were rather formal affairs. Expressions of gratitude formed a central part in eating. Bowing and reiterating certain phrases reconfirmed and strengthened the authority of the parents, imbuing the children with respect and serving as a language that held families together. All this changed fundamentally in the Assembly Centers and Relocation Camps. Soon after the bombing of Pearl Harbor, anti-Japanese sentiments came to the fore on the West Coast, and with them demands for drastic measures against the Japanese American civilian population. Although law enforcement agencies had found not a single case of espionage or sabotage conducted by Japanese Americans, cynical journalists, opportunistic politicians, and armchair generals eventually carried the day and convinced President Roosevelt to authorize the War Department to designate parts of the United States as military areas and to remove from them “any or all persons” in order to protect against sabotage and spies. This broadly formulated order was then applied to one group only – Japanese Americans. Beginning in March 1942, all Japanese Americans living on the West Coast, seventy percent of them American citizens, were uprooted from their homes and confined in so-called Assembly Centers, hastily converted public facilities, race tracks, and fairgrounds. Surrounded by barbed wire and guarded by military police, they were held there for an average stay of three months. Later they were transferred to ten more permanent Relocation Camps, the most of them located in mid-western states. By October 1942 some 112,000 Japanese Americans were confined in these Relocation Camps. In these camps meals were served cafeteria-style in mess halls, each mess-hall barrack serving 500 people in three shifts. One effect of this new environment was that the authority of the parents eroded as children frequently ate with their peers instead of with their families. In fact, juvenile delinquency was to become the number one concern of parents and camp authorities alike. Moreover, dependency on the government and the loss of self-sufficiency was hard to bear for the middle-class Japanese Americans who took pride in their economic achievements in prewar-America. Furthermore, the food itself posed a break with pre-war habits. The diet was bland and lacked diversity. The Issei, who constituted one-third of the inmates, missed Japanese elements such as tsukemono (pickled vegetables), sukiyaki and steamed rice. The Nisei adjusted more easily though they also complained about the low quality and the lack of choice. Few prisoners were willing to accept these circumstances and over time introduced their own modifications to the meal setting as well as to the meals themselves. Inmates started bringing their own bowls “because food from a bowl somehow tastes better than from the tri-partitioned Army plates,” as some Issei remarked. Likewise, many Issei brought their own chopsticks and shoyu (soy sauce) to the mess halls. By introducing Japanese elements to their meals, eating became a commemorative practice through which the Issei re-acted their identity as ethnic Japanese, evoking memories of an (often idealized) rural past about which many first-generation Japanese Americans reminisced as their captivity lasted on. Also, in many camps there was continued resistance to the confiscation of hot plates, which were used by the inmates to have tea or coffee in a private setting. The Nisei, too, modified the prison-like communal feeding, trying to recreate as much as possible their pre-war American eating habits. If, for example, an unappetizing meal was served at the mess hall, they often took only the bread in order to eat it with peanut butter or cheese, which they were storing in their barrack rooms. Others went to the licensed camp store to buy doughnuts, soda pops, ice cream, popsicles, etc. Also, as long as they stayed in the Assembly Centers, Nisei were regularly visited by Anglo American friends who brought take-away Chop Suey boxes and Hamburgers. The food gifts were publicly consumed, proudly displaying their status as fully-assimilated Americans. These practices subsided, however, once the Japanese Americans had been deported to the remote inland concentration camps. Another feature of the daily meals in captivity was the separation between prisoners and keepers who took their meals at their own mess halls. The Issei were not bothered by this separation but some Nisei occasionally enacted the pre-war practice of eating with Anglo American friends by organizing picnics to which all employees of a certain department were invited. This way they overcame the segregation between prisoners and keepers, which formed the foundation of the (prison) camp society. Therefore, the practice of eating across the “prisoner-keeper divide” was also a powerful strategy to redefine roles within the camps. While the Nisei generally used this practice to demonstrate their belonging to the “white mainstream society,” some Issei employed joined dinners as a political agenda of a different kind. Shortly after Christmas 1942, for example, several well-to-do Issei invited the administrators of the Gila River Relocation Camp for a New Year dinner. The Caucasian guests included the assistant camp director, the police chief and most department heads. They were served a resplendent meal, consisting of Western dishes, supplemented by traditional Japanese meals. There were bottles of bourbon on each table, and the Japanese hosts made a point of serving this “Japanese tea” to their keepers, in spite of a recent announcement by the present police chief that he would persecute any person who bought, sold or consumed liquor in camp. Moreover, the Issei had designated as host-in-charge Chota Hirokane who had just served a six-week sentence for beating up a fellow inmate who was a trusted confidant of the administration. While this ceremonial dinner was certainly a gesture of reconciliation, it was also a statement of power. By inviting their keepers, the inmates enacted an order in which the prison hierarchy was turned upside-down. Placing the recently convicted Hirokane at the very top of the “dinner order,” the Japanese Americans made clear that they decided whom they accepted as authority. Also, by serving alcoholic drinks they stated that they would break any laws which were not to their likings. The New Year dinner at the Gila River Relocation Camps was certainly not an everyday occasion but it is still a vivid example for the political implications of eating practices and the possibilities which they offered to redefine ones role in society, even in a highly oppressive environment such as the Relocation Camps. This entry was posted in Immigrant Foodways and tagged internment camps, Japanese Americans, prison food, World War II. Bookmark the permalink. 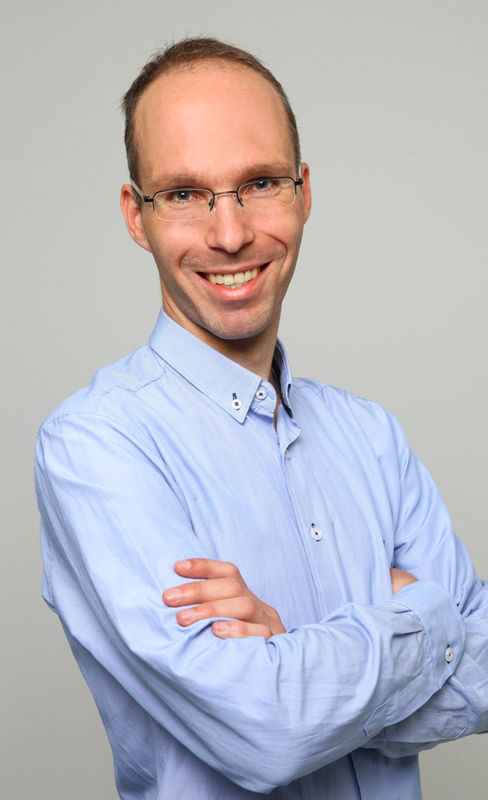 Konrad Linke is lecturer at the University of Jena. He has written about the Japanese American incarceration from a variety of perspectives. In his current research project, a cultural history of the John A Roebling’s Sons company, he looks at changing logics of entrepreneurship and the political, cultural, and economic entanglements of a family business.